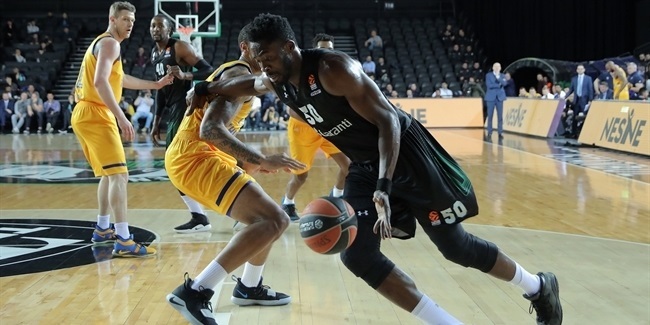 It has been a tough EuroLeague season for our team. We lost many close games at the end. We had some tough games against Milan, Fenerbahce and Maccabi recently. The game against Fenerbahce was very exciting because it was a derby game against two Istanbul teams. Also, I got to see and compete against my great friend Bobby Dixon [Ali Muhammed]. He and I were together at Pinar Karsıyaka for three years. It's always good to see him and catch up. In my opinion, I think Fenerbahce is the favorite to win the Euroleague title. Obviously, it is still wide open, but they have played great basketball until now. They have the experience and team chemistry to win the title. "We are hoping to win as many games as we can!" Our team is continuing to get better each day. This season has been a learning experience for all of us. 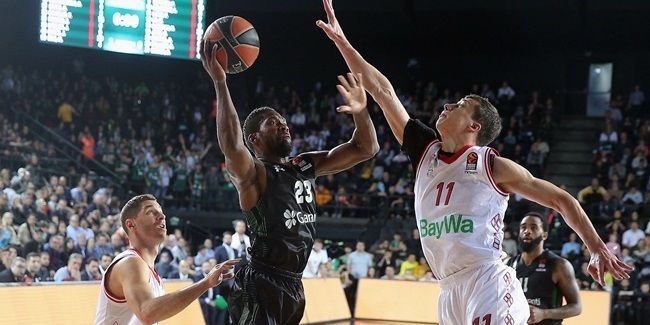 First, it shows how difficult it is to win at the Euroleague level. Second, it shows how each game is important! We lost so many close games at the beginning of the season, and I believe if we had won some of those games, it would have turned our season around. We could possibly be in a better position than where we are today. We have a great group of guys who get along, our team is very fun, and we continue to work hard every day in practice, despite our position in the Euroleague standings. We are hoping to win as many games as we can! We had a rare break in the middle of the season. We got to enjoy a couple of days off, which was very refreshing. It allowed our team to mentally get a break and regroup and get ready for the home stretch of the season. I think we have a strong push to make, especially to get into the Turkish League playoffs and make some noise! We believe in our team and we think we haven't reached our full potential yet. Our coaching staff is continuing to push us and believe in us! "Our team will play hard and play with pride!" Istanbul is such an amazing city, especially when the weather gets nice. During the small break we had, it was nice to get out into the city and enjoy all of the things it has to offer. There are so many tourist attractions to go and see! The Blue Mosque, the Basilica Cistern, the Grand Bazaar, just to name a few! Even with this being my fourth straight year in Istanbul, I never get tired of seeing all of the attractions this city has to offer. 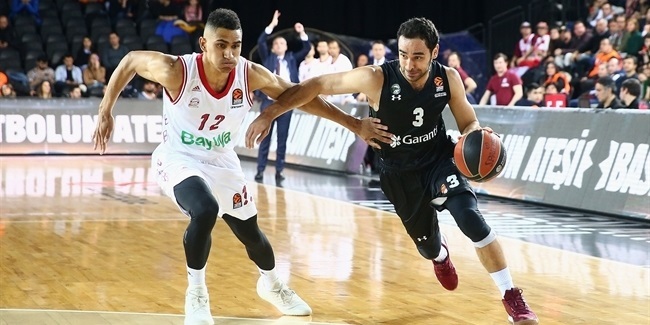 We have some important home games coming up in both the EuroLeague and the Turkish League. Our team will play hard and play with pride!! Our fans have shown us great support even though we have lost many games. We are thankful for their support and we will continue to need it for the rest of the season!